Wetsuit Size Guide: How to Choose the Right Size? This wetsuit size guide is meant for beginners, people that are buying or trying on their first wetsuit. Deciding on the right wetsuit size can be a challenge for beginners and they usually end up with wetsuit that is too big for them. When you are putting on a wetsuit for the first time a bigger one will of feel more comfortable. But that is not the point here. You want a snug wetsuit that will be tight around your body which won’t leave a lot of place for cold water.You want a wetsuit that at first you thought it is too small for you. How to choose the right wetsuit size? First I suggest you read our short how to put on your wetsuit guide. You want to make sure that you are wearing your wetsuit the right way – meaning – that everything is in place. Make sure that you don’t have excess neoprene in places like under your knees or under your crotch. If everything seem OK then the right sized wetsuit for you will be one that feels snug and tight all over. Wetsuit needs to be a bit tight so cold water can not come in so easily and there is less room for the water to accumulate in your wetsuit. You do not want to swim inside your wettie. Make sure that the arms nad legs are long enough. You do not want a warm wetsuit that has ends 10 inches above your ankles. If you will be wearing wetsuit booties they will slip from under your wetsuit (where to put wetsuit booties) and you will be cold. If the wetsuit forces you to bend over then the body part of the wetsuit is to small. Get a bigger one or maybe a tall version of the same size. Which wetsuit sizes can you choose from? MT and ML – sometimes these two mean the same thing, but basically MT (medium tall) is for someone that is tall for his weight and M size wetsuit fits him well, just arms and legs are to short and ML (medium large) is for someone that is a bit heavier and needs more room in the wetsuit, but is not also taller. LT – large tall is for someone that is tall for his weight and L size wetsuit fits him well, just arms and legs are to short. For a full explanation of all the possible wetsuit sizes go here. After you have put on your wetsuit try crouching, bending over, jumping, moving your arms to see if there are any restrictions of movement and if the sleeves are long enough. How to test if the wetsuit is the right size? Pull the neoprene on your back just above your backside away from our body. There should not be to big of a gap between your body and the wetsuit. Because of the curve of your back this is the first place where you can see if the wetsuit is to big. Then again, we are all built different so it is hard to find a perfect fit. I had a quick question-is it advisable to put on talc/baby powder for ease/speed of taking off a wet suit? Bruce, you could, but no one does that anymore. Maybe with triathlon wetsuits. hello my name is Nathan Moore and i am intersited in your wetsuits and i was looking at the sizing chart and i am a tall skinny kid and i don’t know what size would be right for me? my measurements for waist, chest, height, weight, neck, and hips are as fallowed. Thanks for the great info, i was wondering, if there are excess neoprene under the arms and no where else, it is consider too large? there is non under the knees nor on my back nor on my stomach. Kevin, in theory yes. Since arms are the most active part of your body there is a lot of movement in this area… more that anywhere else. So it is great if your wetsuit fits you so there is no excess neoprene under the arms. This is more important than knees or stomach. But in real world – since we are all built differently it’s hard to get a wetsuit that fits you perfectly everywhere and you have to make some compromises. Hey I got a question in hopes that someone can answer it. I’m 6’6″ and weigh about 240lbs. Looking at a new suit and wonder if an XXXL wetsuit would be the best fit for me?? If not what would be best?? Thanks. I am 5’8″, 58kgs boyish built female. Women’s wetsuits aren’t long enough and mens are too wide but medium length is OK. A women’s 10 extra long or mens small or XS extra long would probably fit but neither are made. Are there any brands made for tall slim people. Any suggestions? Hi looking to buy my first wetsuit, and i am a ladies uk size12 but only 5ft4″ so was just wondering whether a girls aged 16 suit would be around the right size and height? hi am looking at getting a shortie wetsuit as am going to teach diving in thailand,my chest is 40″ and just wanted to know if a 40″ chest would be fine or would a 42″ be a better fit. Hi I’m buying a wetsuit but kind of stuck on what size I would need. I’m 5’7 210 lbs. Could I fit into a LS? Hi. My son will be going to a camp in June in Cross Lake, MN and they advise having a wet suit. My son has some sensory issues and so I know at first having something kind of tight on him when he is swimming will be a little nerve wracking for him..for this reason I am also trying to find as an affordable suit as possible. I’m not sure what kind of suit is best. He is 11 and is about 47 inches and 85 pounds. I am a UK 10 and fit the measurements for a small except my waist is a bit bigger. Chest 36″, Waist 32″, Hips 39″ Height, 165 cm. 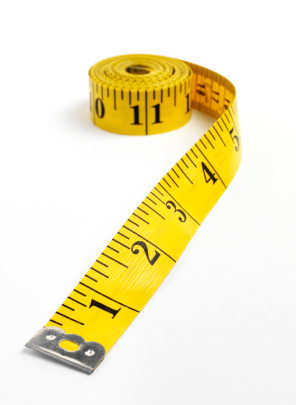 Is it best to go for the larger size – 12, or stick to the size 10? Hi! I was wondering about the difference between the M and MT. Is it just the arms and legs that differ or do they differ in the body length as well? An M fits me good in the arms and legs, but it feels a bit stretched in the body part. Joakim, this always depends on the model/manufacturer but yes – MT usually has longer arms, legs and body.